Today, we expect our systems to be highly sophisticated, intelligent, intuitive, robust, adaptive, and reliable. As technology, especially computational technology, has increased, so has our ability to imagine and develop even more capable and complex systems. This has progressed to the point where it is rare for an individual to understand all aspects of a system. In fact, it is typical that modern systems are the product of an army of highly trained specialists, each with expertise in traditionally diverse domains. In a modern system, the requirements developer, the mechanical engineer, the programmer, the cost analyst, the manager, and many others must work together to make a system a reality. Modern systems engineering recognizes the necessity of these varied perspectives yet must still achieve efficient and effective systems concepts, designs, implementations, and management. How multiple domains can be organized, managed, and sustained to achieve the development of a useful system is at the heart of systems engineering. 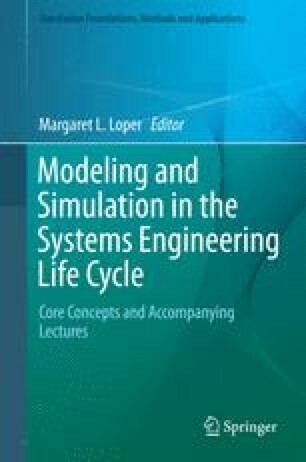 In this chapter will discuss how Model-Based Systems Engineering (MBSE) is shifting the emphasis of the system engineering process away from the management of documents to describe a system, to an emphasis on a common, flexible, and persistent model of the system. IBM Corp (2014) Rational Rhapsody family. http://www-03.ibm.com/software/products/en/ratirhapfami/. Accessed 2014.